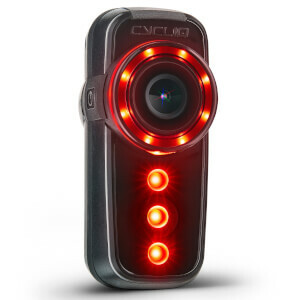 Cycliq's new Fly12 CE integrated bike camera and safety light has been re-engineered to give riders even sharper video recording, a more powerful light and brand new quick release mounting system all in lighter smaller form than ever before. makes the Fly12 CE the ultimate choice in cycle safety. Two buttons control the camera and safety light. It is that simple. Yet, the intuitive safety features are light years ahead of any products on the market. Shoot super crisp video at up to 60 frames per second in 1080p resolution. The ultra-wide 135-degree field of view and 6 axis image stabilisation and high dynamic range means you will capture number plates and action footage with amazing clarity. 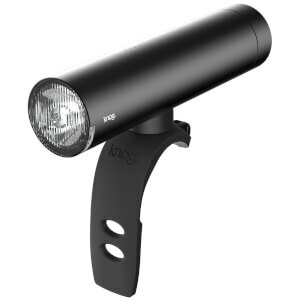 Mountable either above or below the handlebars, the powerful 600 lumen light has 3 light modes and 3 dimming modes. With up to 8 hours operating time, our industry leading battery is built to last longer than your ride. A full charge now only takes 2.5 hours. 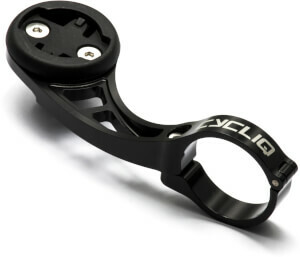 The new 1/8 turn secure mounting system makes it quick and easy to clip on and off your bike. Fly12 CE is built tough to sustain knocks and is weatherproof thanks to nanotechnology. The device also has a bike alarm which alerts your phone via the Cycliq Plus App if your bike is moved. Fly12 CE connects with your compatible Garmin via ANT+, connects with the Cycliq Plus App via Bluetooth and connects via USB to your Mac or PC. Works well but battery life and memory too short. Would be nice if larger micro SD card could be used to record multiple days of rides.